Advertorial by AGM: the opinions expressed in this story may not reflect the positions of PhoneArena! After the first drop-certified rugged phone with Snapdragon 845, the X3, AGM decided to bring the successful formula downmarket with the A9. It still sports a Snapdragon chipset, but of the midrange variety, while retaining and at times even improving on the X3's features, all in order to bring the price down to just $330. The brand new A9 is MIL-STD-810G and IP68-certified, which are the highest ratings for any smartphone that comes in the "rugged" category. As with the previous AGM products, this model also is waterproof, shock-proof, dust-proof and ice-proof. It is said to withstand a drop test of five feet and remain underwater up to the same depth while being 99% dust-proof. 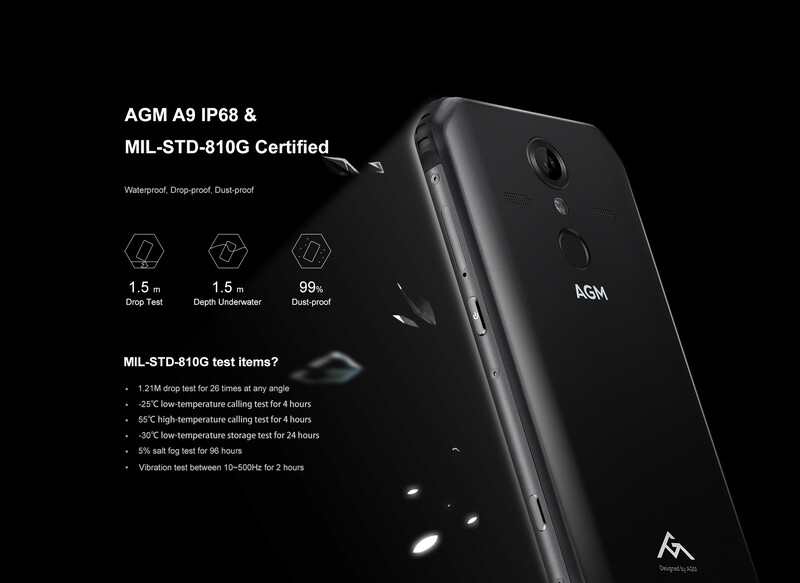 AGM A9 is powered by a long-standing 5400 mAh battery that is sure to offer longer functionality because of the low battery consumption of the midrange 14nm chipset that comes packing an X9 category LTE modem. It also supports Qualcomm Quick Charge 3.0, which recharges the phone way faster than usual. The large 6" display comes with a 1080x2160 pixels resolution and 500 nits of peak brightness offering a clear display even in brightly lit environments. The 12MP rear camera and the 16MP front one are designed to take beautiful pictures in dimly-lit environments, with special emphasis on portrait optimization. The graphics subsystem supports real-time Bokeh camera effects, too. The collaboration with JBL brings about the quadruple JBL-tuned speakers offering "three-dimensional" sound which is a first of its kind. The dual-mic noise reduction ensures the unwanted noise is largely offset and offers better audio quality for conversations and recording. Tune in to your favorite radio stations without having the need for an external antenna or headset to be connected as it comes with a built-in antenna. In colder areas of operation of the device, at times when it is essential to wear gloves, the A9 does not require one to take them off as it supports a glove mode, which means one can wear mittens and still conveniently operate the device. Overall, the AGM A9 is a release that gives a brand new experience of smart rugged phones for adventurists and regular users alike. 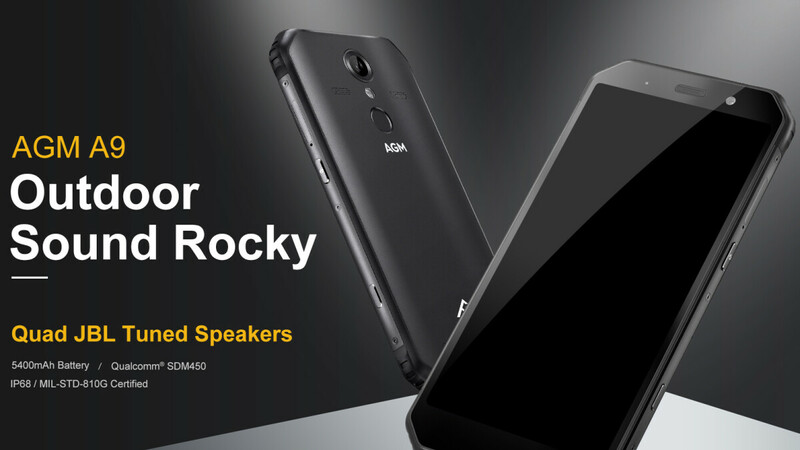 It is now hitting shelves, raising expectations for rugged phone enthusiasts. The price is pegged at $299.99 for the 3GB RAM + 32 GB ROM version and $339.99 for the 4 GB RAM + 64 GB ROM one. When you buy the A9 from AGM's official store, you get the opportunity to win free JBL Headset worth $149 and many more exciting discounts and gifts.